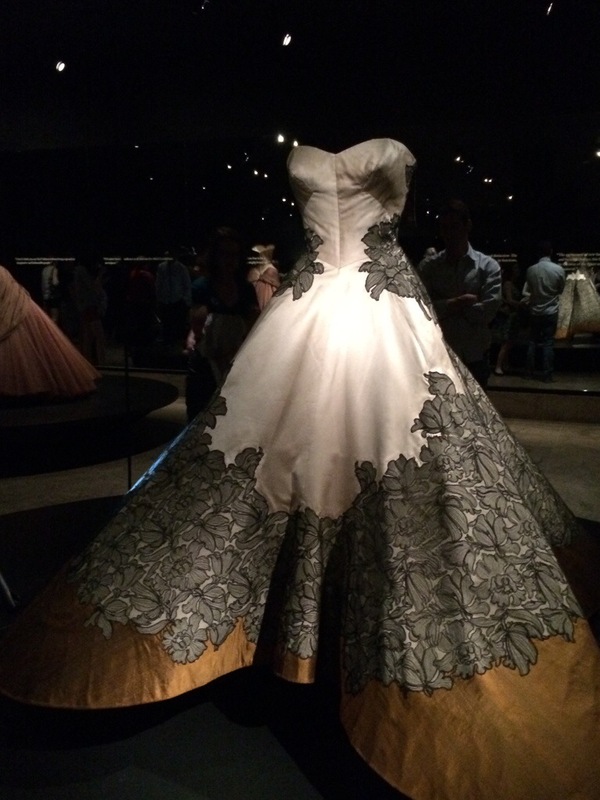 This past weekend, I went to see the new fashion exhibit at the Met, Charles James: Beyond Fashion. With the recent renovations to the Costume Institute and renaming to the Anna Wintour Costume Center, the exhibit was truly amazing. First and foremost, I love the fact that the exhibit was held in two different spaces, on two different floors, and on opposite sides of the museum. It broke it up allowing for double the enjoyment, and gets visitors to take in more of the museum as opposed to just the fashion exhibit. Don’t get me wrong, I am all for going to the Met to view special exhibits, but even when I waited in line for an hour and a half for Alexander McQueen: Savage Beauty (to then be in the exhibit for another hour), I still made a point to see more of the museum…but that’s coming from someone who can spend hours walking around in there. Another aspect of the exhibit that I really liked was the staging of it. I remember from the McQueen, how there was so much packed into multiple rooms, and how it felt a bit closed in (perhaps partially because of the mass amount of people), but James was different. Both the upstairs and downstairs galleries were open and airy. The gowns and clothing displayed in such ways that you could see them from different angles if not walk all the way around them. There are also monitors for many of the pieces which show the painstaking steps that were taken to create these works of art. I only watched a few as they didn’t catch my eye as much as the clothing, but they were fascinating. Then there were the garments themselves. They. Were. Fabulous. Breathtaking, really. It was hard to pick out just one favorite, although his Four Leaf Clover ball gown was definitely in the top five for me. Charles James was a truly great couturier, but part of what makes him so amazing was that he was a perfectionist. I, who sometimes walk away from my writing mid-sentence because I just cannot find the right word, can completely understand. Part of this could be due to the fact that James started off as a milliner, and carried-on that approach into his clothing. He even went so far as spending years on one dress until it was exactly what he had envisioned. According to Voguepedia, he was even known to “don a finished gown and dance all night in his apartment above the Chelsea Hotel before handing it over…if he handed it over at all.” I could go on and on, but really, the exhibit speaks for itself. Charles James: Beyond Fashion opened at the Met just last week and will be on display through August 10th. I caught it opening weekend, but I will definitely be there many more times. love the gown! Such a beauty!